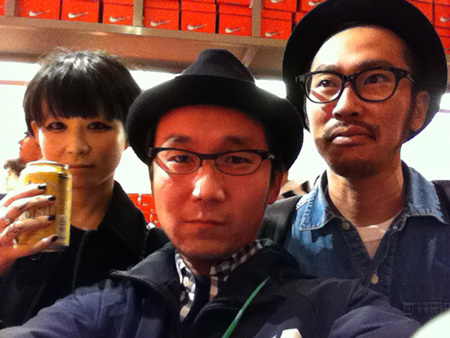 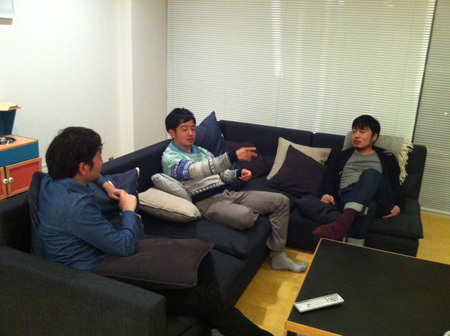 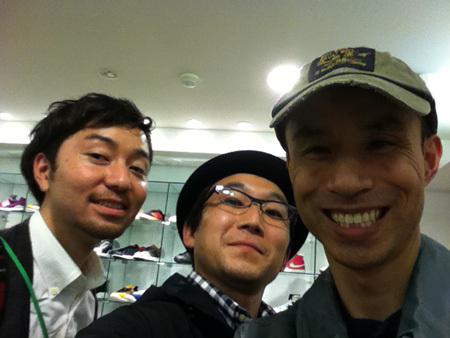 Ly and Takeuchi-kun, we stopped by BeamsT, Nike event. 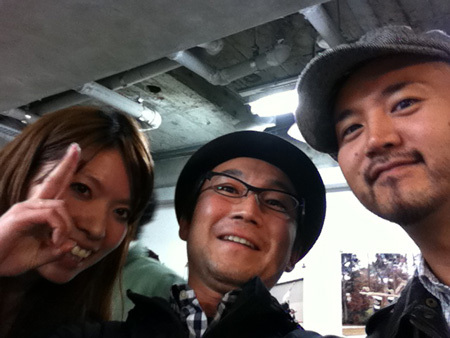 We stopped by X-girl event as well. 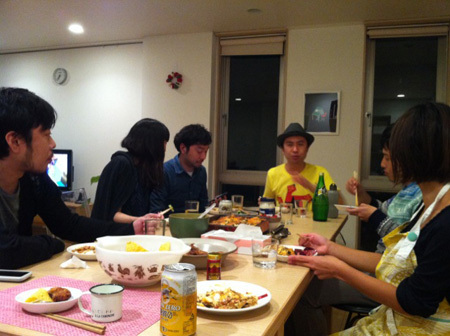 We ate dinner at my house.